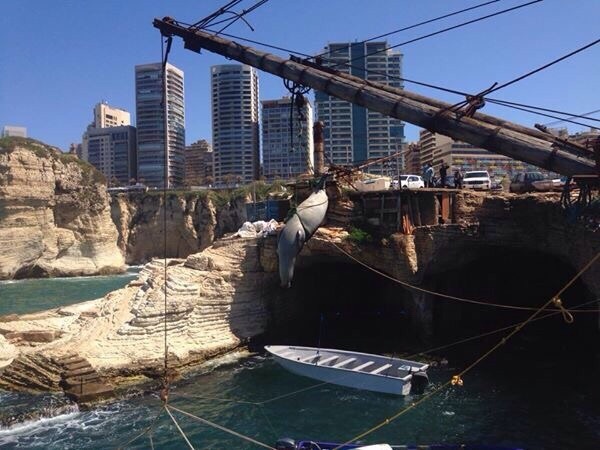 The marine life in Lebanon was affected by a new loss, when one of the rare types of “monk seals”, which resides on the coast of Beirut was found dead, where it was taking shelter in what is known as the “Cave of seals” at ‘’Raouche’’ Beach. The death of these seals is a big loss, as this type of seals is rare in the world, and especially in the Mediterranean, where it is one of the six most endangered animals, although it is included in the “Annex 1″ of the International Convention to Combat Animal Trafficking and in the red list of the International Union for Conservation of Nature (IUCN), as well as classified in EU law as in need of solid protection. 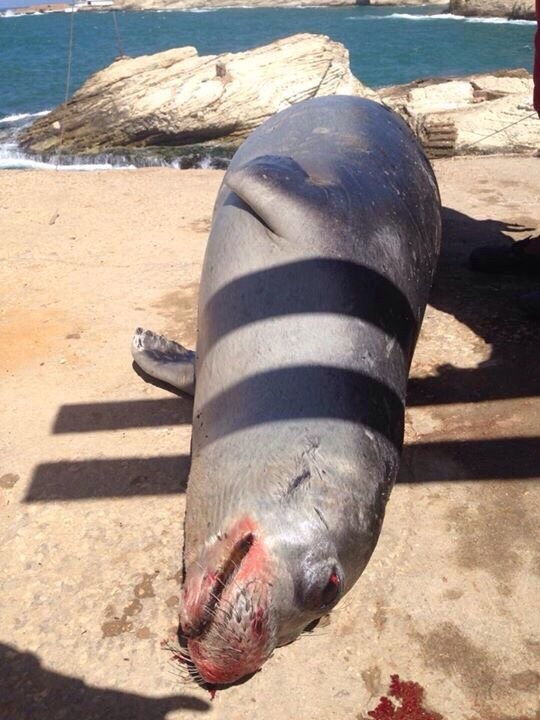 The death of a pregnant Mediterranean monk seal has been reported in Beirut near the “Cave of seals” at Raouche Beach. The discovery is thought to have taken place last week, on 31 March 2015. The Preliminary information indicates that the seal died naturally, according to the General Coordinator of Activities in the ‘’Big Blue’’ campaign ‘’Nazih al Rayes’’, who oversaw the seal’s autopsy process. But the biggest loss was that the seal was pregnant with a female fetus, that also died and therefore the death of the mother prevented the proliferation of the kind. Rayes considered that the loss is not only at the marine level, but also at the level of tourism, noting that tourists travel to beaches around the world where seals and dolphins exist, to enjoy watching them, while these marine animals are at our shores but unfortunately not protected. ‘’Rayes’’ explains that the concerned ministries should announce the existence of this rare type of seals at our shores and develop programs to protect and breed them, pointing out that a number of fishermen saw, a while ago, a swarm of seals facing the “Zaytouna” area in Beirut, and their number was estimated around 11. 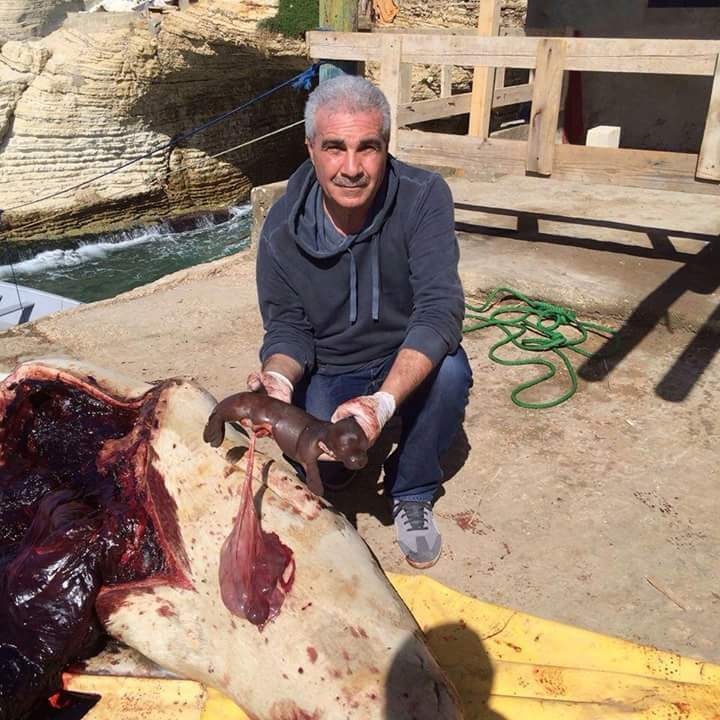 Based on the 11 photos of the seal published on 1 April 2015 by Mr. Nazih El Rayess, Dr. Michel Bariche, Associate Professor Marine Biology/Invasive species, Biology Dep, American University of Beirut, announced that the blood on the mouth, nostrils and eyes of the seal suggest that it died from a trauma to the head. The only explanation possible is that someone hit it strongly on the face after being caught in a fishing net. The carcass was found floating on the surface of the water suggesting that the poacher released it afterwards dead (or badly damaged). Otherwise, it would have died in the cave it used to hide in. Mediterranean Monk Seals can live up to 50 years and they give birth to 80 cm long pups. These animals were very common in Lebanon until the 1930s. They have been decimated by fishermen, coastal urbanisation, overfishing and pollution. The species has been reported extinct in Lebanon since the 1960s but some sparse and rare sightings were recorded since in two regions. The first is Ain el Mraysseh and the second was found dead in 2012, trapped in a fishing net somewhere facing Tripoli. The fact that the female was pregnant suggest that another seal may be still present along the coast of Lebanon. This monk seal is one of the most endangered animal in the World. The entire population is estimated to be 500 individuals, out of which 300 live in Greece. It is listed as a “Critically Endangered Species” by the IUCN (International Union for Conservation of Nature, http://www.iucn.org/). Besides conservation purpose, the presence of this animal alive along the coast of Lebanon, and particularly along the Raouche area, could be very interesting from a touristic point of view. 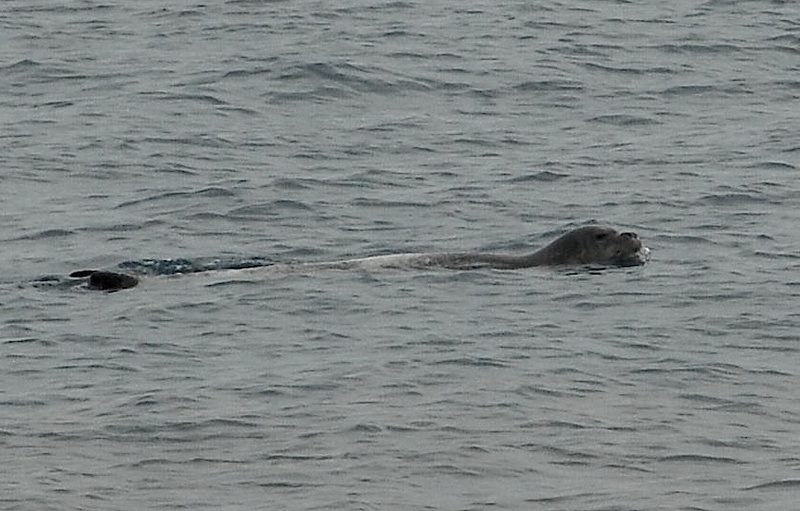 The Mediterranean monk seal should be protected as it constitute a unique natural heritage, which could be compared to the famous Cedars of Lebanon. Previous Japanese Ambassador’s observation How should we tackle natural conservation of Lebanon?